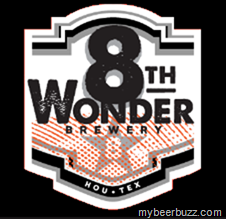 Join Houston EuroCircle friends at one of Houston’s finest beer breweries, 8th Wonder Brewery located in East Downtown Houston just blocks away from the baseball, soccer and basketball stadiums. While at the brewery you can elect to take a complimentary tour of the brewery (starts at 7pm) while enjoying the selection of beers on tap (beer tokens available for $4, $10 and $15 options). If you would like a bite to eat, the Eatsie Boys food truck is located just outside the brewery (available daily).